It's #iwill week, a time when we celebrate young people involved in activities that make a positive difference and encourage others to do the same. Across the country, young people are volunteering, campaigning, fundraising, and even Big Lunching! 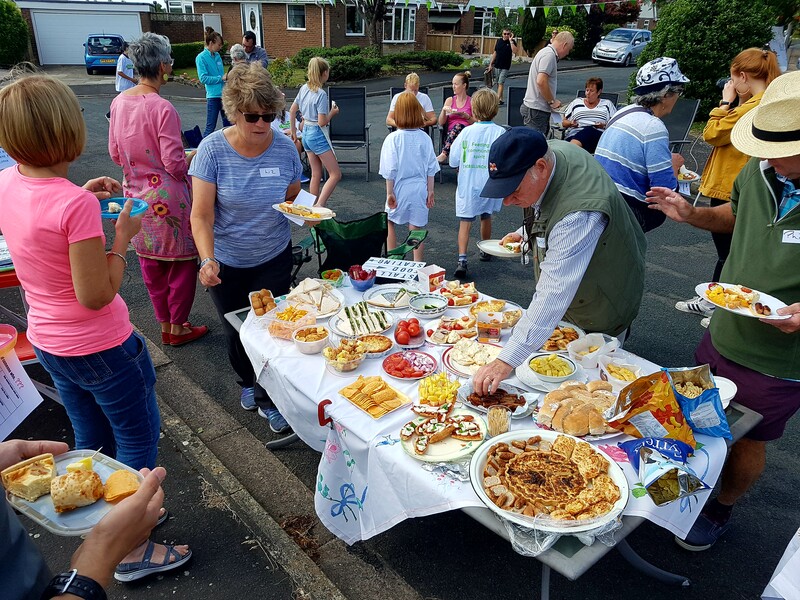 This is the story of 14-year-old Scott and his neighbour Diane, who together have been making The Big Lunch happen where they live, bringing people together, young and old, strangers and friends, for a day of community celebration. Diane had been putting on a Big Lunch in her street in Warton for years but, one year, personal circumstances made it too difficult for her to organise. Big Lunch day came and went, and soon afterwards, while picking up her grandchildren from school, she was approached by Scott, then a ten-year-old boy who lived on her street. He asked her why there hadn't been a street party that year and, after explaining the situation, Diane encouraged Scott to organise next year's Big Lunch himself so they could keep the tradition alive. Scott certainly embraced the role: he turned up at Diane's house, clipboard in hand, and asked for her help and advice to get started. Their Big Lunch went off without a hitch! Soon after, Scott's family moved to a new part of town where, you guessed it, Diane wound up moving to shortly afterwards as well! But how to get to know the other neighbours? These two had it covered, and this summer organised the first Big Lunch on their new street. It's nice to think we've left something behind in the street. Scott and Diane's friendship and collaboration goes to show that The Big Lunch really is for everyone and that just by reaching out to those around us we can make good things happen where we live. This #iwill week, who will you empower to take action in their community?